The TTABlog®: TTAB Test: Is TWEEDS Generic for Shirts and Sweaters? The USPTO refused registration of TWEEDS for "shirts; sweaters" on the Supplemental Register, deeming the term to be generic for the goods. Applicant argued that "[t]weed is a fabric, not a shirt or sweater," and that "tweeds" is "merely descriptive of a type of sweater or shirt." How do you think this appeal came out? In re Branded LLC, Serial No. 86529647 (February 13, 2018) [not precedential] (Opinion by Judge Christopher Larkin). [Affirmed per curiam by the CAFC under Rule 36, April 8, 2019]. Applicant first pointed to its ownership of a now-expired registration for TWEEDS for the same goods. The Board shrugged that off, pointing out that each application must be examined on its own merits, and citing In re Cordua Rests., Inc., 118 USPQ2d 1632 (Fed. Cir. 2016) (CHURRASCOS in stylized form found generic for restaurant services despite subsisting "incontestable" registration for the word mark for the same services). The Board observed that the USPTO must show more than that "tweeds" refers to other items of clothing. It must show that "tweeds" refers to a category of shirts or sweaters. The evidence included multiple webpages offering "tweed" shirts and "tweed" sweaters. Many of the items were not made of wool. Applicant agreed that "it is possible to find shirts and sweaters that are made of tweed," and that the "examples given by the examining attorney use the word 'tweed' to indicate the type of sweater or shirt being offered." [Emphasis by the Board]. The Board pointed out that the use of "tweed" to indicate the type of shirt or sweater is use in adjectival form, rather than in noun form to identify a fabric. However, generic adjectives "are just as unprotectable as generic nouns:" for example, "footlong" for sandwiches excluding hot dogs. Sheets of Del., Inc. v. Doctor's Assocs. Inc., 108 USPQ2d 1341 (TTAB 2013). Applicant effectively conceded that TWEEDS identifies a category of sweaters or shirts included within the relevant genus. The pluralization of the word "tweed" as TWEEDS does not alter its meaning as referring to categories of shirts and sweaters. 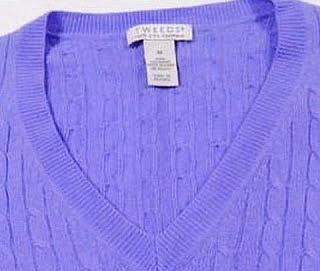 On the basis of the record as a whole, we find that the Examining Attorney has established, by clear evidence of generic use, that Applicant’s claimed mark TWEEDS is understood by the relevant purchasing public to refer to categories of shirts and sweaters that are made of tweed fabric, or that have the appearance, look, or style of tweed fabric. The proposed mark is thus incapable of distinguishing Applicant’s goods, making it ineligible for registration on the Supplemental Register. TTABlog comment: If the evidence showed use of "tweed" only with shirts and sweater made of wool, would "tweed" be merely descriptive but not generic? No, it wouldn't be merely descriptive if used only with tweeds, because all that does is postpone to another day the argument that they have made substantial use and the term has acquired secondary meaning. No point leaving that door open.